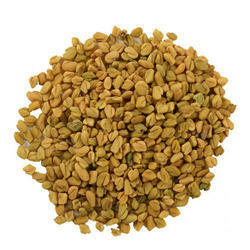 Pioneers in the industry, we offer fennel seeds, fenugreek seeds, dill seeds and kalonji seeds from India. 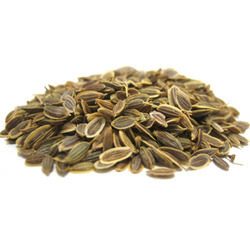 Fennel Seeds is the dried ripe fruit of a perennial aromatic herbaceous plant, which grows in mild climates. Approximately 1/4 to 1/2 inches, long and have a green food color. They are Oblong, elliptical, straight & slightly curved with prominent ridges. It smells like anise and taste similar. It has a slight note of camphor.It has long been used in India & China for its medicinal value, yet it is believed and proved to be a multi-purpose usage spice. 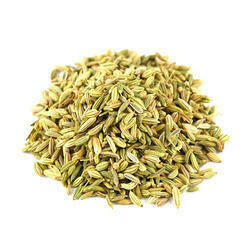 In India consumption of Fennel seed increases in the month of March to June. These days are generally hot, and Fennel seeds contain cool and freshener taste. Indians have a Royal choice of having Sarbat of Fennel seeds which help to bear, unbearable hot climate.Well known as Stuff. Indian Fennel is used in food, medicines, liquors, perfumery, also exported in the form including seeds, powder & volatile oil. Fennel is grown largely in Gujarat, Rajasthan & Uttar Pradesh. Growing season is During August and December. India being the world largest producer of fennel seeds dominates the world market with major export markets at USA, Singapore, UK, UAE, Sri lank, Malaysia, Saudi Arabia & Japan. Dill Seeds is an annual herb native to the Central Asia, it is also widely grown in Europe and Northern Africa for its culinary and medicinal use. Dill Seeds, dried leaves of the same plant is also used for flavoring. It is milder in taste when compared to dill seed. Dill seeds are originated in Central Asia. It is, however, is also grown in large quantity in Egypt and Mediterranean countries or Eastern Europe. It is also getting popular in North America. It's related species Sowa is grown in India whose fruits are larger but less fragrant. India and Pakistan are the major dill production areas, Egypt, Fiji, Mexico, Netherland, United States, England, Hungary is other commercially productive areas, making small contributions to the world production. 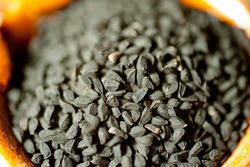 We offer a wide range of Kalonji Seeds.